If you usually rely on glasses or contact lenses to help you see more clearly, you are certainly not alone. Research indicates that around half of Americans have eye problems that can be corrected with the use of prescriptive eyewear. Presbyopia: an age-related degeneration of the natural lens of the eye, also known as the cornea, which causes an inability to focus on close objects properly. Astigmatism: a condition in which the cornea is shaped irregularly, meaning that the eye cannot focus the light evenly and images appear blurred or stretched. Hyperopia: also called far-sightedness, characterized by the patient being able to see objects further away more clearly than those nearby. Myopia: also called near-sightedness, this is a condition whereby objects close by can be seen clearly while those far away are blurred. While it is not known exactly how many people in the United States have myopia, studies suggest that it is the primary ocular condition affecting the population. Myopia normally occurs when the eyes, and subsequently the cornea, grows slightly too long. To produce a perfectly clear image as experienced by people with 20/20 vision, the cornea should be evenly curved and the right length. In people with myopia, instead of the light rays entering the eye and focusing perfectly on the surface of the retina, they are focused on a point just in front it. This means that the image your retina sends up the optic nerve is blurred. It is not always clear exactly why some people develop myopia and others don’t. Most experts agree that it is probably a combination of genetics and environmental factors. Research has identified more than 40 genes linked to short-sightedness, so perhaps it is little surprise that if either or both of your parents are short-sighted, you too are more likely to develop myopia. Too little time outdoors and excessive close work during adolescence are also believed to contribute to the development of the condition. Can myopia be reduced, and if so, how? While most people know that myopia can be corrected using glasses or contact lenses, much fewer realize that there are some things that you can do that might be able to reduce the extent of your visual disturbance and improve your eyesight. There are many different types of eye exercises that you can do, and they should be performed daily to obtain the maximum benefit from them. While there is no guarantee they will make your vision better, they will certainly make your eyes stronger and experts agree that this can only benefit your ocular health. 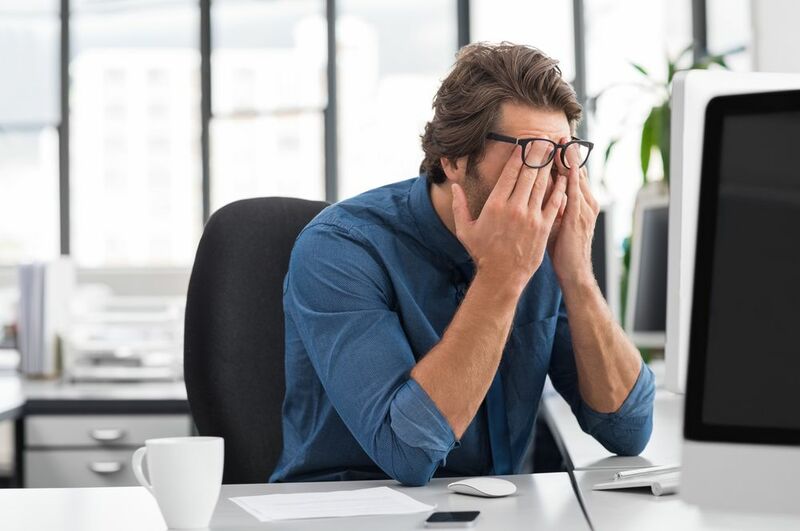 Eye strain is something that can develop rapidly when we are spending a great deal of time closely focused on something like a smartphone or tablet screen or even a book. If you need to spend hours on this type of activity, such as at work, then make sure you take regular breaks so that your eyes can relax and refocus at a different distance for a while. Some people fall into the habit of wearing glasses all the time when really, they only need them for activities such as driving. However, eye doctors recommend that you only use your prescriptive eyewear when you actually need it. This will enable your eyes to adjust between episodes of wearing and not wearing glasses, which is good for building their strength. If you are fed up with wearing eyeglasses or contact lenses, then there is a more permanent solution for your near-sightedness. Laser eye surgery is a very common and highly successful procedure that can correct mild to moderate refractive eye problems and either reduce or completely eliminate your reliance on prescription eye wear. The procedure itself is short and painless, and the recovery time is fast and usually complication-free. The vast majority of laser eye surgery patients wouldn’t hesitate to recommend it to their loved ones, with many stating that it has transformed their lives. If you have further questions about myopia, or if you would like to discuss your treatment options, our friendly and knowledgeable optical team are on hand to help.